You can use almost anything you like to create your collage. A few commonly used items are magazine pictures, photographs, or fancy paper. If you are interested in making collages, it's best to start gathering materials before you begin the collage process. A good starting point is to go through your craft cupboards, magazine racks, and even your junk drawers to find unique items you can use. There are plenty of other mediums you can use that you might not think of. Another way to find materials for a new collage is simply to take a walk outside. You may find old paper, discarded bottle caps, or other treasures. As long as the materials are safe and (mostly) clean, feel free to use them in your art project. Found objects will provide character to the piece in a way that plain paper cannot. Put aside any objects in a large ziptop bag, an empty shoebox, or another area in your workspace. You don't have to use all the materials at once and it's helpful to build up a stash of supplies. 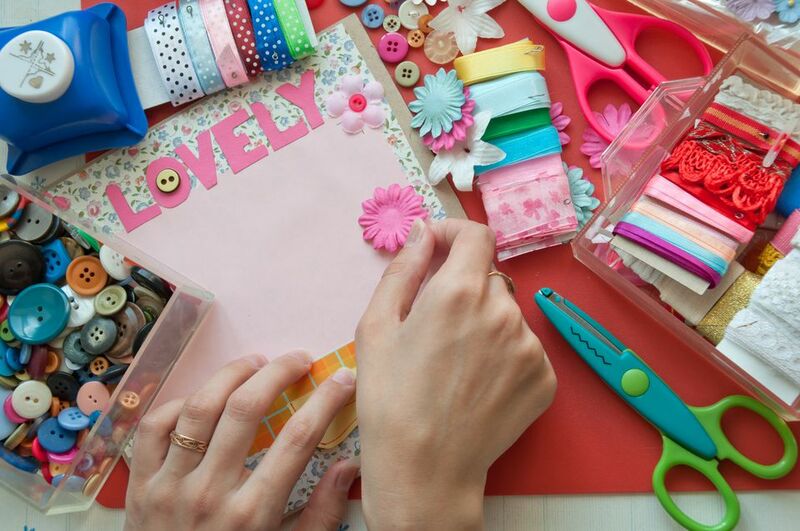 For other ideas, check out this list of creative collage materials for a good starting point. This list has a lot of three-dimensional items on it. If you are going this route, try to use smaller and/or flatter items. You will likely want to have a few different adhesives, especially if you are using larger materials in your collage. Standard white glue is helpful, as is a glue gun, spray adhesive, and rubber cement. A glue gun is the best option for larger or heavier items. It can be a tricky tool for smaller delicate items. Scissors and a razor or Exacto knife is helpful to precisely cut the materials you are using. Remember, there is no right or wrong way to make a collage. Choose an item above to use, use your own unique items, or even make a collage using a variety of items. It is up to you. To add a professional touch to your collage, you can frame it once it's complete. Depending on your budget, you can take a collage to a framer or frame it yourself. Prior to framing, make sure the college is completely finished to your liking. Remove any stray bits of materials or strings from the glue gun. A tweezer can be useful to help remove tiny elements. If you are framing it yourself, a shadowbox style frame usually works well for a college. Since the art may be three-dimensional, a shadowbox will allow more room for your collage. Hang the completed work on the wall, gift it to someone, or sell it.